Think about what topic it might be and can you sustain creating weekly episodes for years? Want searchable, findable episodes? You can add tags before publishing draft episodes created offline, as well as before going live. We've added the ability to log in using your Google account, for your logging in pleasure. Back in August 2015 (22 episodes on) i-Heart rejected me for needing 100 followers. I do a lot of post-production. Also, keep consistent distance from your microphone and avoid excessive "You know", "Umm" and "Like" peppered throughout your sentences. You two sound like you are sitting in the same sound booth using the same type of microphone. I will move my files to whatever technology comes up with as needed. I tried $55 for one year of double the time on SoundCloud and really did not get more listens so went back to free. I also have all of the image files for episodes I have created, a list of descriptions for each and tags are pretty much the same on most. I also have hard drive and external drive back-ups of everything I do. 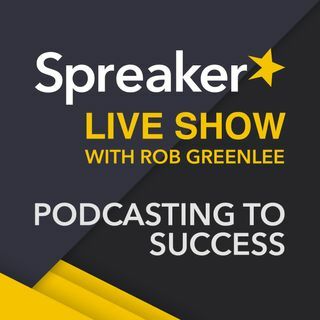 I auto share to SoundCloud from Spreaker, so they are already secondary, and I have a free account there. Thanks for the hard work gentlemen.